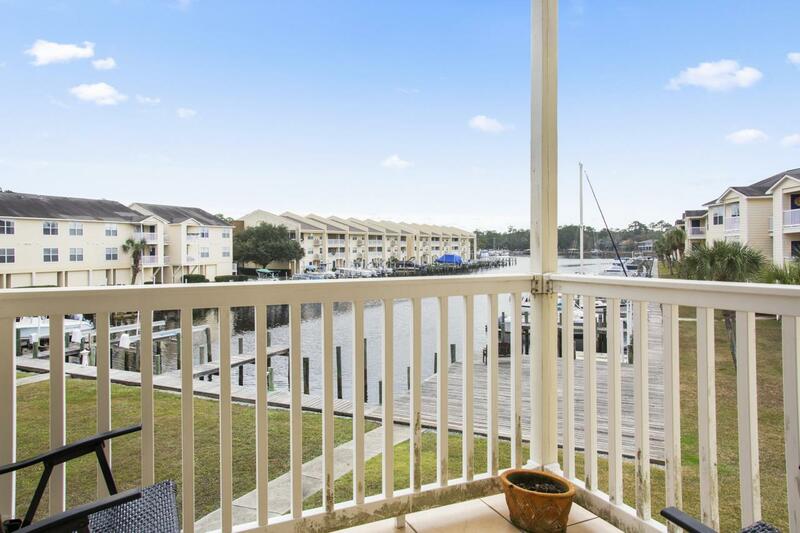 Beautiful waterfront condo overlooking the Harbor Landing Marina offering deep water access to the Gulf of Mexico. Sold with BOAT SLIP! Located on the 2nd floor with views from every window!! Granite counter tops, laminate wood floors in the living, balcony overlooking the water, covered parking, storage closet. Great location, gated community, community pool, club house and fitness center. Come see it today! Listing courtesy of April Cook of Rain Residential.